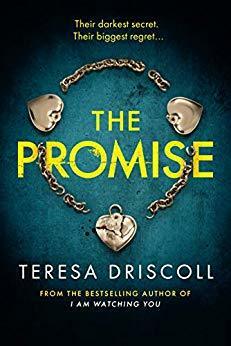 Teresa Driscoll - a former BBC TV news presenter- is now an international #1 bestselling author. Her debut psychological suspense I AM WATCHING YOU hit Number One on Kindle in the UK, USA and Australia and sold more than half a million copies in its first year. Her second thriller THE FRIEND was also Kindle #1 in the UK and Australia and a top #10 bestseller in the USA. Teresa also writes women's fiction. Her debut in this genre RECIPES FOR MELISSA was auctioned at the Frankfurt book fair between seven German publishers and her second women's fiction title is LAST KISS GOODNIGHT. During her long career as a journalist, Teresa worked for newspapers, magazines and television, including 15 years presenting the BBC TV news programme Spotlight. Covering crime for so long, she was deeply moved by the haunting impact on the relatives, the friends and the witnesses and it is those ripples she explores now in her darker fiction. Teresa's books have been sold for translation in 15 languages. She lives in glorious Devon with her husband and two sons and blogs regularly about her "writing life" at her website - www.teresadriscoll.com.